The talk presented by Paul Alivisatos, co-leader of Berkeley Lab's Helios Project, describes using nanotechnology in the efficient capture of sunlight and its conversion to electricity to drive economical fuel production processes. 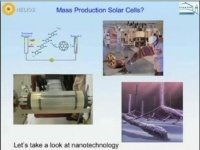 This video is an introduction to the nanotechnology based study of alternative energy sources. Researchers use ground-breaking atomic imaging techniques to view hydrogen atoms moving on a specialized surface. Michael Bruce, senior advisor for finance in DOE's Office of Energy Efficiency and Renewable Energy, said bringing in specialists in business development when working on public-private collaborations is more effective than the "technology incubators" commonly created by academic institutions working with private industry. 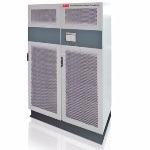 This video demonstrates a wide variety of power protection solutions available from ABB. 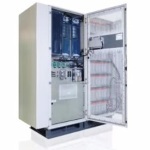 These power protection systems, which include power conditioning, power switching and UPS products, ensure high-quality power to protect data and plant processes. By exploiting the powers of nanotechnology and taking advantage of non-toxic, Earth-abundant materials, Berkeley Lab's Cyrus Wadia has fabricated new solar cell devices that have the potential to be several orders of magnitude less expensive than conventional solar cells. 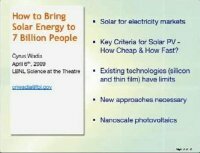 And by mastering the chemistry of these materials-and the economics of solar energy-he envisions bringing electricity to the 1.2 billion people now living without it. 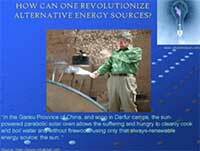 MicroGen Systems is developing a product that will scavenge energy from naturally occurring vibration (e.g. a vibrating car), and extend the lifetime of rechargeable batteries or replace them all together for low power meshed and non-meshed wireless sensor network (WS) applications. 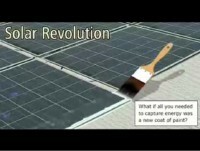 Dr. Alan Heager of the University of California, Santa Barbara, and developer of power plastic photovoltaics, dreams of bringing solar power of every one. Dr. Heager explains, 'The sun is shining. The energy that we receive from the sun in one hour here on the earth is sufficient to handle the energy needs of the planet for a year.' He has developed technology which removes the expense of producing solar cells, making them affordable for every person on the planet to cheaply own. 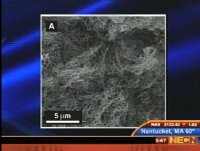 Boston College physics professors Mike Naughton and Kris Kempa discuss their department's new research into ultra-thin solar cells in which they were able to observe the hot electron effect for the first time and then capture the elusive charges, which typically lose their energy to heat. The nanotechnology device could open a potential avenue to improved solar power efficiency in so-called 3rd Generation solar technology. 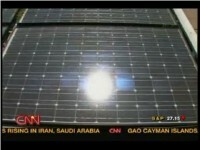 Innovalight is redefining solar energy manufacturing. Using high precision inkjet manufacturing, Innovalight will replace many of the costly manufacturing steps required to make solar modules today. The end product is a high efficiency, low-cost and highly reliable silicon based solar module which will bring solar energy to the masses. 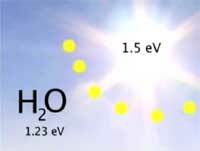 Researchers with the U.S. Department of Energy’s Lawrence Berkeley National Laboratory (Berkeley Lab) have now taken a critical step towards this goal with the discovery that nano-sized crystals of cobalt oxide can effectively carry out the critical photosynthetic reaction of splitting water molecules. Learn about where our energy comes from, which energy sources are running out, and how nanotechnology is helping us find cleaner, safer, and renewable sources of energy to fuel our future. Dr. Christopher Matranga explains capabilities and uses of two specialized research instruments. The National Energy Technology Laboratory (NETL), part of DOE’s national laboratory system, is owned and operated by the U.S. Department of Energy (DOE). NETL supports DOE’s mission to advance the national, economic, and energy security of the United States. This Discussion looks at who is using nanotechnology and MEMS (microelectromechanical systems) to create viable solar energy, cheaper and cleaner water treatment, better batteries, and what other green innovations are being furthered by nanotech and MEMS? Dyesol produces the highest quality materials for Dye Solar Cells. They are the industry leader of DSC Technology, and are ever moving forward in the industry. In basic realization a Dye Solar Cell comprises a layer of nano-particulate titania (Titanium Dioxide) formed on a transparent electrically conducting substrate and photosensitized by a monolayer of dye. 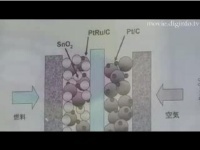 An electrolyte, based on an Iodide - Tri-iodide redox system is placed between the layer of photosensitized titania and a second electrically conducting catalytic substrate. 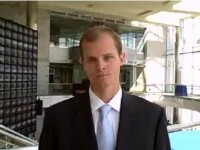 Tom Jaramillo, Assistant Professor of Chemical Engineering at Stanford, discusses technical advances in nano-materials that enable the direct production of hydrocarbon, alcohol, and hydrogen fuels from sunlight, water, and atmospheric CO2. This video describes the functioning of ABB’s PCS100 RPC (reactive power conditioner) in improving the power quality of the Wellington cable car system in New Zealand. The active power factor correction makes the PCS100 RPC suitable for improving commercial and industrial electrical installations across a wide range of applications including public transport industry. NEC Nano Electronics Research Laboratories exhibited a thin, organic radical battery at the nano tech 2009 show. NEC anticipates that thin, flexible organic radical batteries will help to achieve higher performance levels in IC cards and other electronic components. Possible applications that take advantage of the high output characteristic include use in LED flashlights. Hoping to leave today's silicon solar cells behind, the Palo Alto company Nanosolar is creating paper-thin solar panels harnessing nanotechnology, a product that could revolutionize solar power. This video explains the operation of the PCS100 RPC (reactive power conditioner) system from ABB. 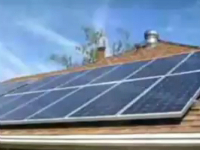 This system provides a cost-effective solution to fix regular power quality problems. Why watch catalysts in action? Berkeley Lab's Miquel Salmeron and Gabor Somorjai discuss how a ringside seat to fundamental chemistry could lead to more efficient catalysts, cleaner skies, and less industrial waste. This video shows how the PCS 100 UPS-I system from ABB protects modern industrial processes from power quality events, enabling seamless power supply. 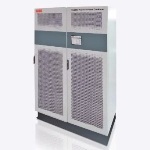 Available in load capacities of 150kVA to3 MVA, the PCS 100 UPS-I helps protect sensitive loads from voltage sags, surges and short outages. Researchers at Georgia Tech, which conducted the demonstration, predict nanoscale piezoelectric energy generators could power mobile phones and other handhelds using the energy harvested from the environment. 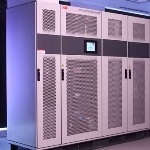 This video reveals how ABB’s PCS100 industrial UPS (UPS-I) has helped Thomas & Betts to improve power protection for its data centers based in Memphis, Tennessee. Prof. Zhong Lin Wang of Georgia Tech tells MaterialsViews.com about his work on portable energy generation using nanopiezotronics. 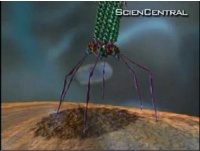 Nanotechnology or nanoscience deals with science and technology on the nanoscale (one billionth of a meter!). It is a field that is rapidly developing and will be at the forefront of scientific and technological innovation in the 21st century. The new virus-produced batteries have the same energy capacity and power performance as state-of-the-art rechargeable batteries being considered to power plug-in hybrid cars, and they could also be used to power a range of personal electronic devices, said Angela Belcher, the MIT materials scientist who led the research team. This video from the Oregon Museum of Science and Industry features an interview with Professor Jim Hutchison from the University of Oregon. 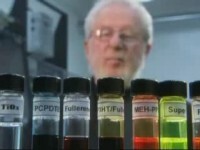 Professor Hutchison looks at the production storage and use of energy and how it is set to be changed by nanotechnology. 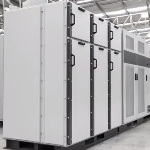 This video demonstrates the operation of ABB’s PCS100 medium voltage UPS system, a solution suitable for high-powered industries ranging from large manufacturing plants to mega data centers. 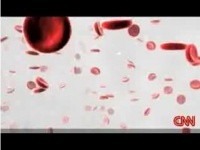 This video looks at a nanotechnology enhanced capacitor and energy solutions from MIT. The capacitor, known as the Ultra Capacitor, is a potential electricity source for powering the electric vehicles of the future. Nanotech correspondent Alex Fiorentino explains how scientists from Uppsala University in Sweden have designed a new battery that recharges extremely quickly and weighs almost nothing. The secret: common pond algae. 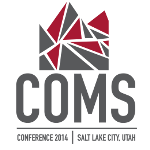 Watch this videocast to learn more. 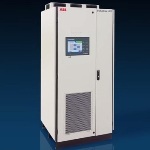 This video explains the functioning of the PCS100 AVC (active voltage conditioner) from ABB. This inverter-based system protects sensitive commercial and industrial loads from voltage disturbances. 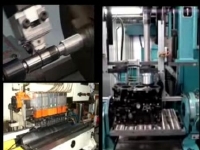 A video clip showing how surface treatment with Fricso polymer materials can help reduce friction and energy consumption and hence reducing running and maintenance costs. This technology allows friction reduction and energy consumption by treating metal surface on existing production line. 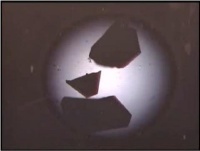 A nano layer deposition with oil retaining capabilities is created. Like astronomers tweaking images to gain a more detailed glimpse of distant stars, physicists at Brookhaven National Laboratory have found ways to sharpen images of the energy spectra in high-temperature superconductors - materials that carry electrical current effortlessly when cooled below a certain temperature. These new imaging methods confirm that the electron pairs needed to carry current emerge above the transition temperature, before superconductivity sets in, but only in a particular direction. Penn State researchers across dozens of fields -- materials sciences, earth and mineral sciences, nanotechnology and many others --are working hard to offer solutions to the nation's energy needs and to invent the future. An investment in Penn State research can pay off because we can address the most complex issues. New Zealand's top emerging scientist John Watt describes how his reserach could lead to cleaner car emissions. This video shows how ABB’s power protection solution has saved Fonterra’s time and money by minimizing the production downtime at its Takanini milk production facility based in Auckland, New Zealand. Reuters is reporting Triumph's latest solar bra aims to put a photovoltaic charge into undergarment demand - or at least a cellphone. Featuring a built-in solar panel, the bra captures and redistributes the sun's bounty and can generate enough energy to power a cell phone or an iPod. 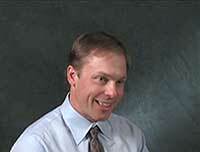 Dr. Christropher Matranga discusses nanotechnology research at "the ENERGY lab." The National Energy Technology Laboratory (NETL), part of DOE’s national laboratory system, is owned and operated by the U.S. Department of Energy (DOE). NETL supports DOE’s mission to advance the national, economic, and energy security of the United States.